Research has elucidated new information about the disease processes that contribute to Achilles tendinopathy and the relative effectiveness of therapies such as heavy-load eccentric exercise and injections of corticosteroids, dextrose, and other solutions. It is generally accepted that Achilles tendon pain (at either location) may be more neurogenic than inflammatory in nature; reports indicate a lack of inflammatory markers (prostaglandin E2 (PGE2)) and an increase in the neurotransmitter glutamate, glutamate’s NMDR1 receptor, and the neuropeptide substance P.10,11 The role of inflammation in initiating the degenerative process(es) in tendinopathy, however, should not be overlooked – particularly in light of the evidence from laboratory studies on the negative effect of chronic exposure to biochemical markers of inflammation (PGE2 and IL6) on tendon fibroblasts and the continued clinical success of corticosteroid interventions.12,13 Advances in our understanding of the pathomechanics of overuse tendinopathies have impacted greatly on modernizing treatment approaches. In approximately 24% to 45% of cases, conservative measures for Achilles tendinopathy—such as rest, ice, activity medication and non-steroidal anti-inflammatory drugs (NSAIDs)–are unsuccessful, so that surgery or other more aggressive treatments must be considered.14 Heavy load eccentric exercise and injection-based treatments are alternatives for tendinopathy management that have received considerable attention in the literature15,16 and have helped change treatment objectives to emphasize restoration of mechanical properties and tendon function as outcomes, rather than simply addressing symptomatic relief. Tendon fibroblasts are known to up-regulate the production of collagen and improve the structural properties of tendon when exposed to moderate levels of tensile load.17 Although moderate levels of concentric or eccentric training in Achilles tendon patients have produced equivocal results in terms of self-reported pain outcomes,18 patients suffering from long-standing painful Achilles mid-portion tendinopathy have shown tremendous improvements in pain and return to function with a heavy-load eccentric only heel drop regimen.19-21 The heavy-load protocol involved subjects standing on a step with heels over the edge, using the muscles of the uninjured leg to (concentrically) elevate the body until the heels were above the step, then transferring the weight to the injured limb and eccentrically lowering the body until the heels were once again below the level of the step. 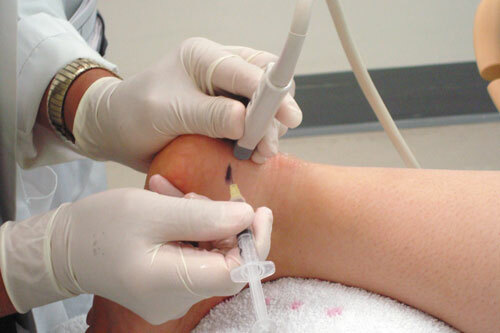 Figure 3 – Ultrasound guided injection techniques, such as the one shown above injecting hyperosmolar dextrose for insertional Achilles tendinopathy, are becoming increasingly popular as an alternative to surgery. While there is speculation as to the specifics of how to apply eccentric movements for therapeutic relief of tendinopathy, it is becoming clear that incorporating eccentric exercise into treatment regimens results in superior outcomes compared to concentric-based programs.16 Allison and Purdam suggest that the role eccentric exercise plays in the treatment of chronic tendon injury is likely not through optimizing strengthening elements, but rather there may be a unique stretching stimulus that results in an improved homogeneity of passive structures, modulation of the neurological stretch responses back to normal, and/or increasing shear forces between the tendon and peritendinous structures that may interfere with vascular infiltration associated with neurogenic pain.25 Eccentric-based programs have also been shown to result in a greater decrease in tendon thickness than concentrically-based exercises for the calf and Achilles tendon, presumably as a result of greater extravasation of water attributed to an increase in tendon crimp strengthening, combined with greater collagen stretch and realignment.26 However, it remains to be determined whether this process is specifically related to positive remodeling. Injection-based treatments for chronic tendinosis are quickly becoming a popular trend for addressing cases of Achilles tendinopathy (or most other tendinopathies) that are recalcitrant to even eccentric-based exercise protocols, and provide a suitably less-invasive approach than surgery (Figure 3). In fact, Yelland et al reported that, compared to eccentric exercises, hypertonic dextrose injections resulted in a greater reduction in stiffness and return to activity in a population with chronic Achilles tendinopathy.27 No fewer than seven separate solution-based treatments, delivered with or without image guidance, for chronic tendon pain have been documented in the literature within the past 10 years: corticosteroid (betamethasone), polidocanol, prolotherapy solution (sodium morrhuate 14.7% and dextrose 10.7%), dextrose (25%), the matrix metalloproteinases (MMP)-inhibitor aprotinin, whole autologous blood ,and platelet-rich preparations (PRP).28-34 Interestingly, a procedure involving only dry-needling and no injectable solution resulted in clinically significant improvements in pain in patients with calcific shoulder tendinosis, and there was no significant difference between a steroid treatment group versus placebo in a study of subjects with rotator cuff tendinopathy.29,35 Based on this circumstantial evidence, it is reasonable to speculate that there is a common underlying treatment effect across these injectable treatments that is likely stemming, at least partially, from the needle stick injury. To counteract the degenerative process, external stimuli delivered via the injectant may be necessary to assist in the healing response of the tendon. Intratendinous injections of either irritant materials – such as dextrose alone or in combination with sodium morrhuate – or whole blood or blood-borne bioactive solutions (e.g., PRP) are understood to deliver directly to the injury site pro-wound healing cytokines and platelet-born growth factors, as well as creating significant fibril disruption, allowing greater blood permeation and healing stimulus.36-38 The vascular sclerosing effect of peritendinous polidocanol injections has been well documented by Alfredson and Öhberg as interfering with an apparent neurogenic source of pain in patients with chronic Achilles and infrapatellar tendinopathies.39-44 As previous research has uncovered the role of MMPs in the pathogenesis of tendinosis, selective use of MMP inhibitors, such as aprotinin, has become documented. Current management strategies for chronic Achilles tendinopathy have advanced remarkably during the preceding decade. Treatment options are becoming increasingly varied, with many approaches claiming clinical success. Therefore, researchers and clinicians in this area need to work together in developing pragmatic treatment algorithms. One such algorithm proposed by Alfredson and Cook45 starts with six to 12 weeks of heavy-load eccentric training, then suggests training modifications and treatment alternatives (topical glyceryl trinitrate, extracorporeal shock wave therapy, corticosteroid injection) in those who do not initially respond to the training protocol. 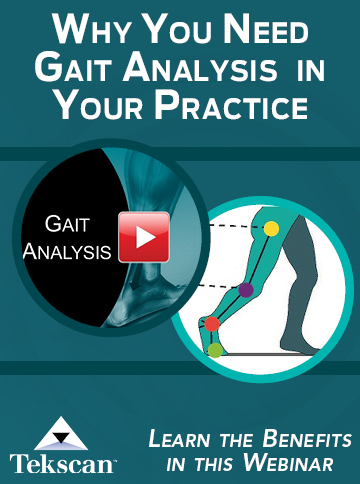 Practitioners and patients will benefit from these types of algorithms, which synthesize results from the basic science literature into a cohesive and clinically useful tool. Michael Ryan PhD, CPed(C), is a post-doctoral fellow in the department of orthopedics and rehabilitation at the University of Wisconsin-Madison. 1. Knobloch K, Yoon U, Vogt P. Acute and overuse injuries correlated to hours of training in master running athletes. Foot Ankle Int 2008;29(7):671-676. 2. Taunton JE, Ryan MB, Clement DB, et al. A retrospective case-control analysis of 2002 running injuries. Br J Sport Med 2002;36(2):95-101. 3. Kujala UM, Sarna S, Kaprio J. Cumulative incidence of Achilles tendon rupture and tendinopathy in male former elite athletes. Clin J Sport Med 2005;15(3):133-135. 4. Hamilton B, Purdam C. Patellar tendinosis as an adaptive process: a new hypothesis. Br J Sports Med 2004;38(6):758-761. 5. Paavola M, Kannus P, Järvinen T, et al. Achilles tendinopathy. J Bone Joint Surg Am 2002;84A(11):2062-2076. 6. Leadbetter WB. Cell-matrix response in tendon injury. Clin Sports Med 1992;11(3):533-578. 7. Vogel KG, Ordög A, Pogány G, Oláh J. Proteoglycans in the compressed region of human tibialis posterior tendon and in ligaments. J Orthop Res 1993;11(1):68-77. 8. Ryan M, Wong A, Taunton J. Favorable outcomes after sonographically guided intratendinous injection of hyperosmolar dextrose for chronic insertional and midportion Achilles tendinosis. Am J Roentgenol 2010;194(4):1047-1053. 9. Fahlström M, Jonsson P, Lorentzon R, Alfredson H. Chronic Achilles tendon pain treated with eccentric calf-muscle training. Knee Surg Sports Traumatol Arthrosc 2003;11(5):327-333. 10. Alfredson H, Forsgren S, Thorsen K, Lorentzon R. In vivo microdialysis and immunohistochemical analyses of tendon tissue demonstrated high amounts of free glutamate and glutamate NMDAR1 receptors, but no signs of inflammation, in Jumper’s knee. J Orthop Res 2001;19(5):881-886. 11. Alfredson H, Öhberg L, Forsgren S. Is vasculo-neural ingrowth the cause of pain in chronic Achilles tendinosis? An investigation using ultrasonography and colour Doppler, immunohistochemistry, and diagnostic injections. Knee Surg Sports Traumatol Arthrosc 2003;11(5):334-338. 12. Khan MH, Li Z, Wang J. Repeated exposure of tendon to prostaglandin-E2 leads to localized tendon degeneration. Clin J Sport Med 2005;15(1):27-33. 13. Fredberg U, Bolvig L, Pfeiffer-Jensen M, et al. Ultrasonography as a tool for diagnosis, guidance of local steroid injection and, together with pressure algometry, monitoring of the treatment of athletes with chronic jumper’s knee and Achilles tendinitis: a randomized, double-blind, placebo-controlled study. Scand J Rheumatol 2004;33(2):94-101. 14. Maffulli N, Sharma P, Luscombe KL. Achilles tendinopathy: aetiology and management. J R Soc Med 2004;97(10):472-476. 15. Rabago D, Best TM, Zgierska AE, et al. A systematic review of four injection therapies for lateral epicondylosis: prolotherapy, polidocanol, whole blood and platelet rich plasma. Br J Sports Med 2009;43(7):471-481. 16. Rees JD, Wolman RL, Wilson A. Eccentric exercises; why do they work, what are the problems and how can we improve them? Br J Sports Med 2009;43(4):242-246. 17. Hazel R, Screen C, Shelton J, et al. Tissue-engineered cartilage grafts for use in cartilage repair technologies. Int J Exp Pathol 2005;86(3):A8. 18. Niessen-Vertommen SL, Taunton JE, Clement DB, Mosher RE. The effect of eccentric versus concentric exercise in the management of Achilles tendonitis. Clin J Sport Med 1992;2(2):109-113. 19. Alfredson H, Pietilä T, Jonsson P, Lorentzon R. Heavy-load eccentric calf muscle training for the treatment of chronic Achilles tendinosis. Am J Sports Med 1998;26(3):360-366. 20. Jonsson P, Alfredson H, Sunding K, et al. New regimen for eccentric calf-muscle training in patients with chronic insertional Achilles tendinopathy: results of a pilot study. 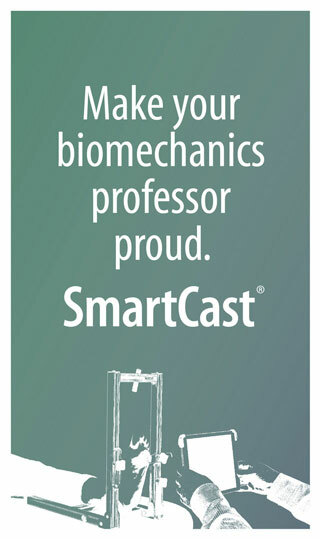 Br J Sports Med 2008;42(9):746-749. 21. Öhberg L, Lorentzon R, Alfredson H. Eccentric training in patients with chronic Achilles tendinosis: normalised tendon structure and decreased thickness at follow up. Br J Sport Med 2004;38(1):8-11. 22. Öhberg L, Alfredson H. Effects on neovascularisation behind the good results with eccentric training in chronic mid-portion Achilles tendinosis? Knee Surg Sports Traumatol Arthrosc 2004;12(5):465-470. 23. Nørregaard J, Larsen CC, Bieler T, Langberg H. Eccentric exercise in treatment of Achilles tendinopathy. Scand J Med Sci Sports 2006;17(2):133-138. 24. 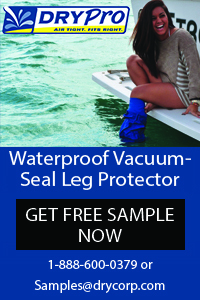 Knobloch K, Schreibmueller L, Kraemer R, et al. Gender and eccentric training in Achilles mid-portion tendinopathy. Knee Surg Sports Traumatol Arthrosc 2010;18(5):648-655. 25. Allison GT, Purdam C. Eccentric loading for Achilles tendinopathy — strengthening or stretching? Br J Sport Med 2009;43(4):276-279. 26. Grigg NL, Wearing SC, Smeathers JE. Eccentric calf muscle exercise produces a greater acute reduction in Achilles tendon thickness than concentric exercise. Br J Sport Med 2009;43(4):280-283. 28. Alfredson H, Öhberg L. Sclerosing injections to areas of neo-vascularisation reduce pain in chronic Achilles tendinopathy: a double-blind randomised controlled trial. Knee Surg Sports Traumatol Arthrosc 2005;13(4):338-344. 29. Alvarez CM, Litchfield R, Jackowski D, et al. A prospective, double-blind, randomized clinical trial comparing subacromial injection of betamethasone and xylocaine to xylocaine alone in chronic rotator cuff tendinosis. Am J Sport Med 2005;33(2):255-262. 30. Edwards SG, Calandruccio JH. Autologous blood injections for refractory lateral epicondylitis. J Hand Surg 2003;28(2):272-278. 31. Maxwell NJ, Ryan MB, Taunton JE, et al. Sonographically guided intratendinous injection of hyperosmolar dextrose to treat chronic tendinosis of the achilles tendon: a pilot study. Am J Roentgenol 2007;189(4):W215-220. 32. Mishra A, Woodall J Jr, Vieira A. Treatment of tendon and muscle using platelet-rich plasma. Clin Sports Med 2009;28(1):113-125. 33. Orchard J, Massey A, Brown R, et al. Successful management of tendinopathy with injections of the MMP-inhibitor aprotinin. Clin Orthop Relat Res 2008;466(7):1625-1632. 34. Scarpone M, Rabago D, Zgierska A, et al. The efficacy of prolotherapy for lateral epicondylosis: a pilot study. Clin J Sports Med 2008;18(3):248-254. 35. Aina R, Cardinal E, Bureau NJ, et al. 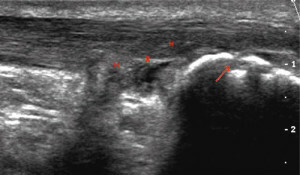 Calcific shoulder tendinitis: treatment with modified US-guided fine-needle technique. Radiology 2001;221(2):455-461. 36. Connell DA, Ali KE, Ahmad M, et al. Ultrasound-guided autologous blood injection for tennis elbow. Skeletal Radiol 2006;35(6):371-377. 37. Molloy T, Wang Y, Murrell G. The roles of growth factors in tendon and ligament healing. Sports Med 2003;33(5):361-394. 38. Rabago D, Best TM, Zgierska AE, et al. A systematic review of four injection therapies for lateral epicondylosis: prolotherapy, polidocanol, whole blood and platelet rich plasma. Br J Sport Med 2009;43(7):471-481. 39. Alfredson H, Öhberg L. Sclerosing injections to areas of neo-vascularisation reduce pain in chronic Achilles tendinopathy: a double-blind randomised controlled trial. Knee Surg Sports Traumatol Arthrosc 2005;13(4):338-344. 40. Alfredson H, Öhberg L. Neovascularisation in chronic painful patellar tendinosis – promising results after sclerosing neovessels outside the tendon challenge the need for surgery. Knee Surg Sports Traumatol Arthrosc 2005;13(2):74-80. 41. Alfredson H, Öhberg L, Forsgren S. Is vasculo-neural ingrowth the cause of pain in chronic Achilles tendinosis? An investigation using ultrasonography and colour Doppler, immunohistochemistry, and diagnostic injections. Knee Surg Sports Traumatol Arthrosc 2003;11(5):334-338. 42. Öhberg L, Alfredson H. Ultrasound guided sclerosis of neovessels in painful chronic Achilles tendinosis: pilot study of a new treatment. Br J Sport Med 2002;36(3):173-177. 43. Öhberg L, Alfredson H. Sclerosing therapy in chronic Achilles tendon insertional pain-results of a pilot study. Knee Surg Sports Traumatol Arthrosc 2003;11(5):339-343. 44. Öhberg L, Lorentzon R, Alfredson H. Neovascularisation in Achilles tendons with painful tendinosis but not in normal tendons: an ultrasonographic investigation. Knee Surg Sports Traumatol Arthrosc 2001;9(4):233-238. 45. Alfredson H, Cook JL. A treatment algorithm for managing Achilles tendinopathy: new treatment options. Br J Sport Med 2007;41(4):211-216.